A report was published by the International Commission of Jurists (ICJ) on the British government’s policy in Northern Ireland. The report was critical of both the British government and the Northern Ireland government. A general election was held across the United Kingdom with the Conservative Party replacing the Labour Party to form the government at Westminster. 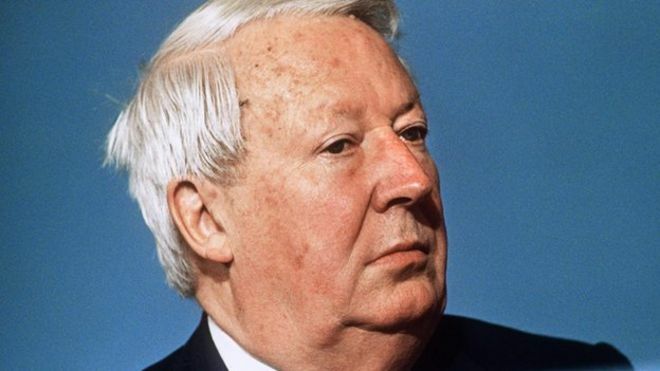 Edward Heath became Prime Minister. Reginald Maudling, was appointed as Home Secretary and had responsibility for Northern Ireland. In Northern Ireland the Unionist Party held ‘only’ eight of the 12 seats. Ian Paisley, gained North Antrim, Frank McManus, a Nationalist unity candidate, gained Fermanagh-South Tyrone, Gerry Fitt held West Belfast and Bernadette Devlin held Mid-Ulster. Social Democratic and Labour Party (SDLP) and Nationalist Members of Parliament (MPs) refuse to attend the state opening of Stormont. Three members of the British Army were killed by an Irish Republican Army (IRA) bomb in a derelict house near Lurgan, County Down. At Westminster a Bill was introduced to make amendments to the Northern Ireland Emergency Provision Act (1973). The main amendment had the effect of giving control of detention to the Secretary of State. Hugh Murphy, then a Catholic priest was kidnapped in retaliation for the abduction of a Royal Ulster Constabulary (RUC) officer the day before, 17 June 1978. The kidnappers issued a statement saying that they would return the priest in the same condition as the RUC officer is returned. A number of Protestant ministers appealed for the priest to be released and he was subsequently returned unharmed. Ian Paisley, then leader of the Democratic Unionist Party (DUP), tried to interrupt Jack Lynch, then Taoiseach (Irish Prime Minister) and President of the European Council, but was shouted down by other Members of the European Parliament (MEPs). An additional 500 British Army soldiers arrived in Northern Ireland bringing the total number deployed to approximately 11,000. Mary Robinson, then President of the Republic of Ireland, paid an unofficial visit to community groups in Belfast. The visit went ahead against the wishes of the British government and the Northern Ireland Office (NIO). During the visit Robinson met Gerry Adams, then President of Sinn Féin (SF), and shook his hand. Robinson also visited Coalisland, in County Tyrone. The Ulster Volunteer Force (UVF) killed six Catholic men and wounded five others in a gun attack on a bar in Loughlinisland, County Down. The people in the bar were watching a televised World Cup football match when the gunmen entered. Shots were fired into the home of a Catholic family in Lisburn, County Antrim. The Royal Ulster Constabulary (RUC) rerouted an Orange Order parade away from the Nationalist area of the lower Ormeau Road, Belfast. Parts of the centre of Dublin were evacuated in a bomb hoax which was believed to have been made by the Ulster Freedom Fighters (UFF). Lee Clegg, then a soldier in the Parachute Regiment, was sentenced to four years for attempting to wound Martin Peake with intent in west Belfast on 30 September 1990. Clegg was however immediately released because of the time he had already served in prison. Three people from Northern Ireland were appointed as Working Peers by the Labour government. They were John Laird, a former Ulster Unionist Party (UUP) Stormont MP; Dennis Rogan, then UUP Chairman; and May Bloody, then a Shankill Road community worker. James McCarry, then a Sinn Féin Councillor, became the first Republican to obtain a firearms licence following the personal intervention of Marjorie (Mo) Mowlam, then Secretary of State for Northern Ireland. Tony Blair, then British Prime Minister, and Bertie Ahern, then Taoiseach (Irish Prime Minister), launched another attempt to find a resolution of the outstanding issues in the peace process. The two leaders held talks with represetatives of the three main pro-Agreement parties: the Ulster Unionist Party (UUP), the Social Democratic and Labour Party (SDLP), and Sinn Féin (SF). Killed by booby trap bomb in derelict house, Bleary, near Lurgan, County Down. Killed by booby trap bomb while on Royal Ulster Constabulary (RUC) foot patrol, in entry off Market Street, Lurgan, County Armagh. Killed in bomb attack on Conway’s Bar, Greencastle, Belfast. Civilian employed by the Royal Ulster Constabulary (RUC). Shot while driving his car, near to his home, Balmoral Park, Newry, County Down. Killed in land mine attack on Royal Ulster Constabulary (RUC) mobile patrol, Coragh Glebe, near Kinawley, County Fermanagh. Shot, during gun attack, on The Heights Bar, Loughinisland, County Down.